Absent minded professor Brainard, who keeps forgetting to go to his own wedding, invents a miraculous material he names flubber. Such are the applications for flubber, he hopes it will reverse the financial fortunes of Medfield College where he and his fiancee work. 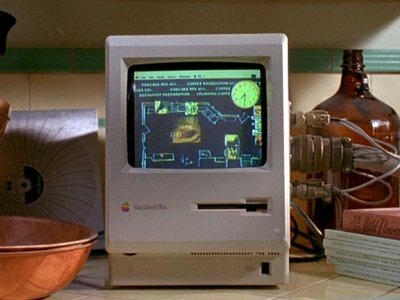 Professor Brainard has a Mac plus in his kitchen that controls the Heath-Robinson machine that cooks his breakfast. 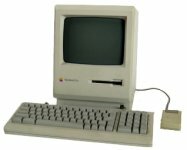 Colour screen on a Mac Plus?